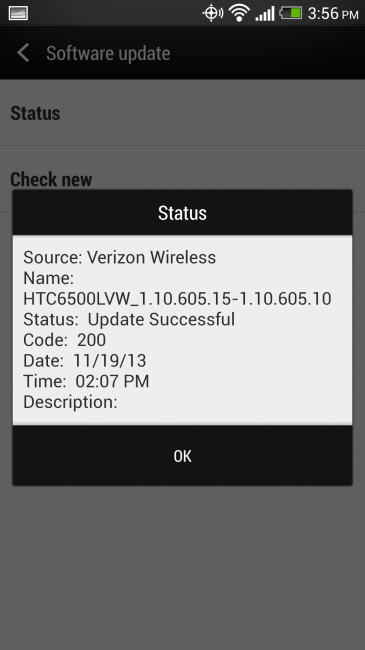 HTC One owners on Verizon are being prompted this afternoon to download an update to build 1.10.605.15, although there is still no official changelog posted as to what is in the update. What we do know is that it must be extremely minor, as the device without the new update, is on build 1.10.605.10. 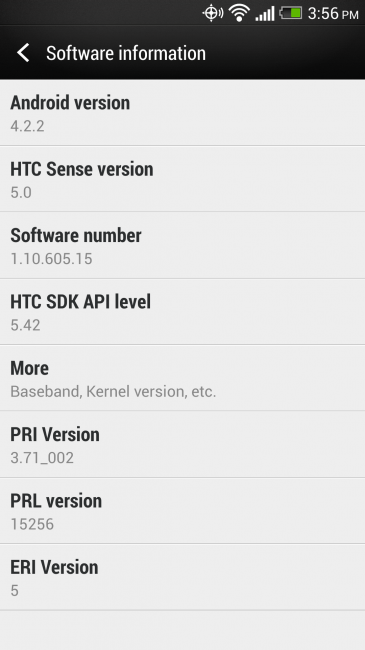 Unfortunately, it’s safe to say this is not the Android 4.3 update. As soon as a changelog is posted to VZW’s website or we have some idea as to what is new, we will update this post immediately.